National Service Director faces resistance after summoning director of organization calling on soldiers to refuse orders. The National Service Authority's Legal Advisor does not allow authority head Sarshalom Jerbi to summon B'Tselem's director to a hearing before cancelling rights granted to the organization. 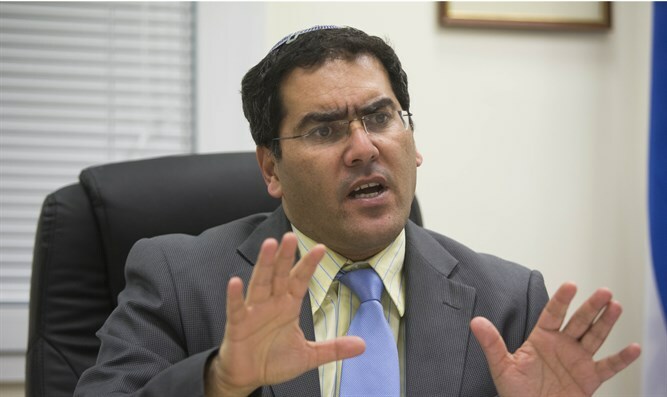 Arutz Sheva revealed that Jerbi had sought to summon the Director to a hearing following the organization's call to IDF commanders and soldiers to refuse open-fire orders at rioters taking part in violent marches near the Gaza border at the end of the week. However, it now turns out that National Service's Legal Advisor is impairing the process. This is not the first time legal elements have made it difficult for National Service to act against B'Tselem. In his letter, Jerbi said, "After examining the operating bodies and in light of the organization's activity against the State of Israel and against IDF soldiers in Israel and in foreign countries, I have decided to terminate your status as a body authorized to operate volunteers within the framework of National Service." B'Tselem antipodal organization B'Tsalmo Director Shai Glick reacted to the National Service's Legal Advisor's objection: "This is Chelm. 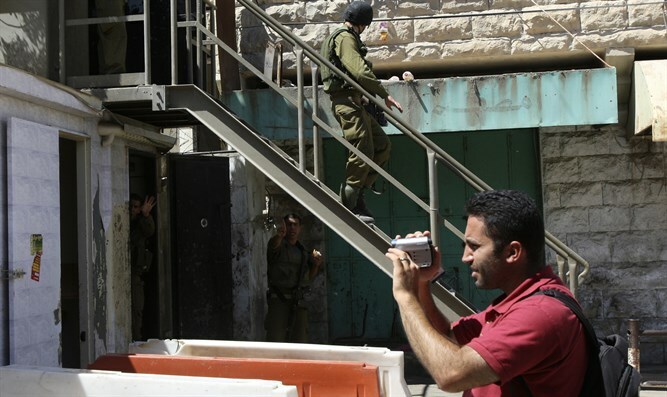 A legal advisor determines it's possible to finance incitement to refuse orders aimed at IDF soldiers. We demand that Minister Uri Ariel, head of the National Service, immediately prohibit service for B'Tselem in accordance with the law." Defense Minister Avigdor Liberman asked the Attorney General yesterday to investigate suspicions of incitement to disobedience to B'Tselem. In his letter to the attorney general, the defense minister wrote: "I view with great severity attempts to instill fear and disunity among IDF fighters and commanders, while the IDF protects Israel's southern border from sabotage and provocations organized by Hamas. "IDF commanders and fighters conduct themselves in a moral and legal manner even in the most complex situations. Attempts to subvert the military establishment and instruct soldiers to act differently are very serious," Liberman added. In light of this, the Defense Minister wrote the Attorney General: "I request you immediately investigate B'Tselem's call to IDF soldiers and commanders. In particular, I want to examine whether this breach constitutes a criminal offense under Section 110 of the Penal Law (Incitement to Disobedience), which is subject to increased punishment when committed during a period of hostilities against the State of Israel."